On occasions, January club night can be a little on the quiet side with everyone recovering from Christmas and New Year celebrations. Not so this year; the room was full. We had organised a skittles evening and 36 members put their names down to play. After three rounds we had a tie for high score between Neil Hutchinson and Pete Downton. 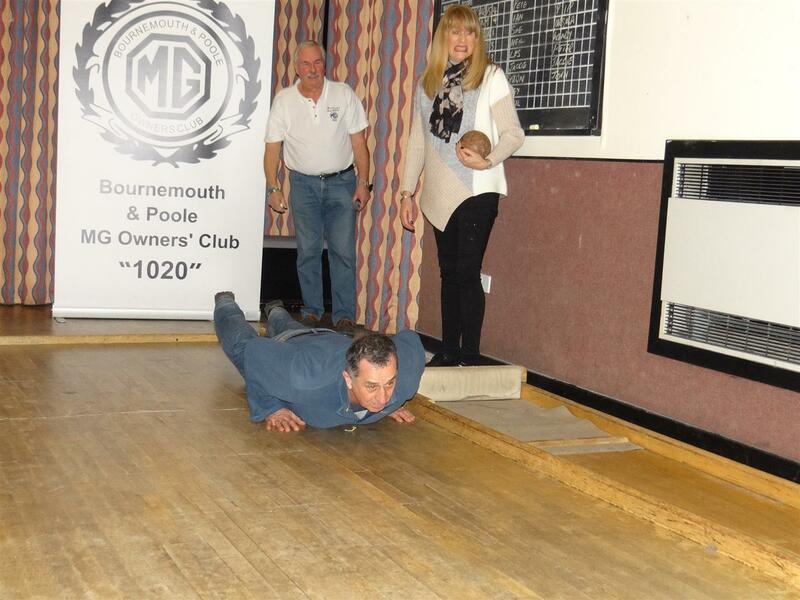 After a roll off at a single pin, Pete Downton proved to be a worthy winner. Many thanks to all who took part. I hope that when the annual challenge match versus Dorset Historic Motor Club is announced, many of you will come forward and represent 1020. Pete Downton showing us how it should be done!